For the past twelve hours, the SpoofIT website has been suffering a series of denial of service attacks. The first attack was launched by @bannedoffline from 178.251.228.80. 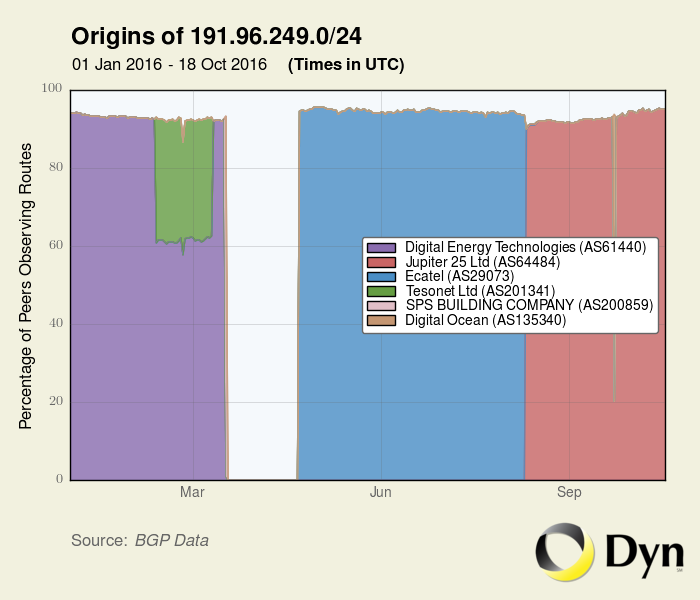 The application layer attack is using a tool known as Hulk. The first attack was launched from AS30823 Combahton IT Services the evening of the 17th of October 2016. For the attack @BannedOffline is using the IP 178.251.228.80. 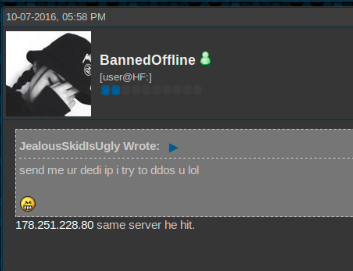 This IP hosts ddos-shield.biz, a project operated by @BannedOffline. 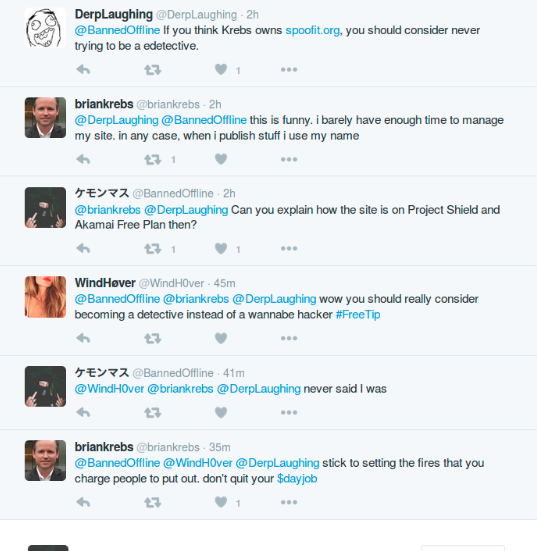 In HackForums, @BannedOffline requests to attack the same IP to test his setup. 178.251.228.80 - - [17/Oct/2016:20:41:36 +0000]  "GET /?6xd=PpDXrT HTTP/1.1" 405 568  "-" "Mozilla/5.0 (compatible; MSIE 9.0; Windows NT 5.1; Trident/4.0; WOW64)" "---" "DE" "AS30823 COMBAHTON combahton IT Services UG (haftungsbeschraenkt)"
What is going on with those Ponies? About the same time that the attacks started, the owner of Proginter.com that in another article we have linked with booter.xyz, has kindly requested us to remove any connections of Proginter.com with booter.xyz in this article. 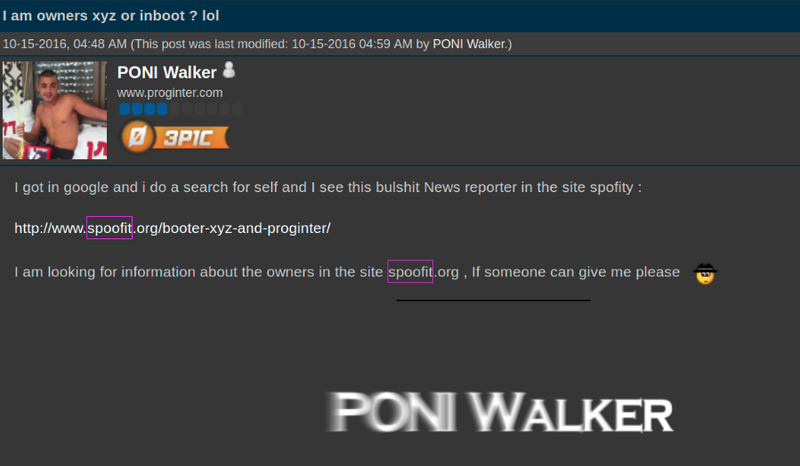 Eden Hen, owner of Proginter.com has reached us a few days ago to clarify his role in the hosting of booter.xyz. During our email exchange, Eden is trying to provide tangible evidence that he is not connected with Poni Walker. According to Eden Hen, Poni Walker is not working for him and he is deliberately using his company’s image just to gain attention. When asked about booter.xyz, Eden Hen (CEO of Proginter.com) has confirmed that he has hosted the Stress Testing Service in the past but he removed as soon as he was “notified”. More details on this, soon! 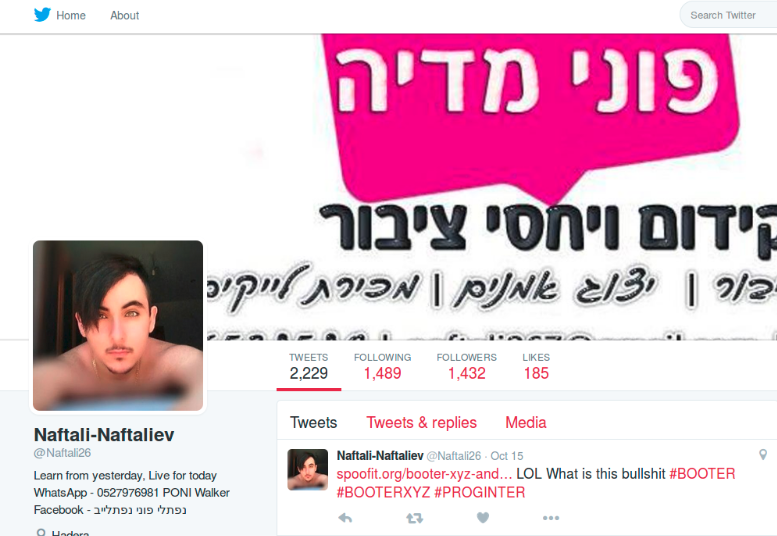 Eden Hen claims not to have any connection with “Naftali-Naftaliev aka Poni Walker”. The second wave of attacks is using a ~ 3000 IP dedicated botnet with a large footprint in China (> 80%). At 12.00 PM UTC the attack is still active. A sample of the IP addresses of the botnet follows, please let us know if you know anything about it! Another botnet joining the attack? Following our mission of exposing the hosting companies and carriers enabling these attacks, I asked where prefix 191.96.249.0/24 is currently sourced. Wait for it! The upstream provider of AS64484 is…. Ecatel! And by the way, in the same network could be found in the past the domain name server for amplists.com, used by VDOS to build their DNS amplification attacks. 39.89.29.60 - - [19/Oct/2016:10:37:45 +0000]  "GET /sup HTTP/1.1" 200 178  "-" "Mozilla/5.0 (Windows NT 10.0; WOW64) AppleWebKit/537.36 (KHTML, like Gecko) Chrome/51.0.2704.103 Safari/537.36" "---" "CN" "AS4837 CNCGROUP China169 Backbone"
120.52.94.54 - - [19/Oct/2016:10:37:44 +0000]  "GET /sup HTTP/1.1" 200 178  "-" "Mozilla/5.0 (Linux; Android 5.0.2; SAMSUNG SM-T550 Build/LRX22G) AppleWebKit/537.36 (KHTML, like Gecko) SamsungBrowser/3.3 Chrome/38.0.2125.102 Safari/537.36"